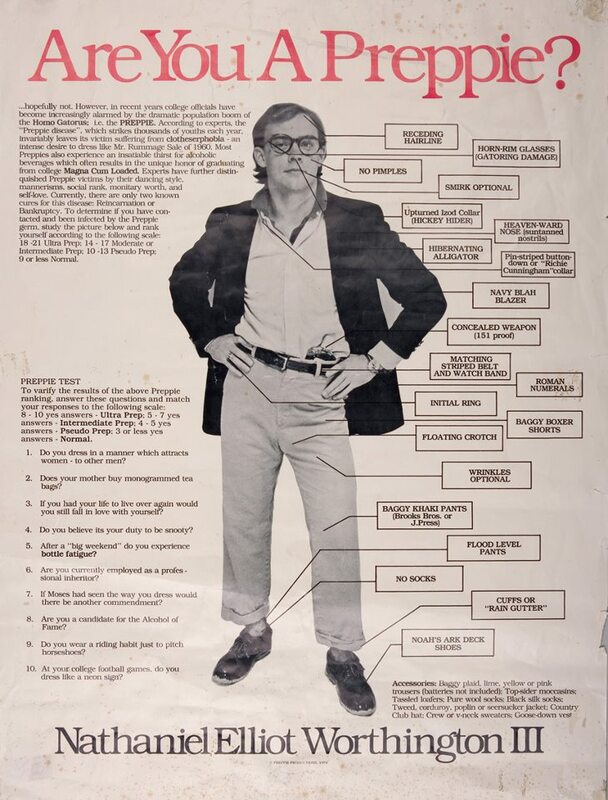 Remember the poster Are You A Preppie? It was printed in 1979 by University of Virginia undergrad Tom Shadyac, who went on to film school at UCLA and later directed Ace Ventura: Pet Detective and Evan Almighty. The poster was wildly popular when it came out. 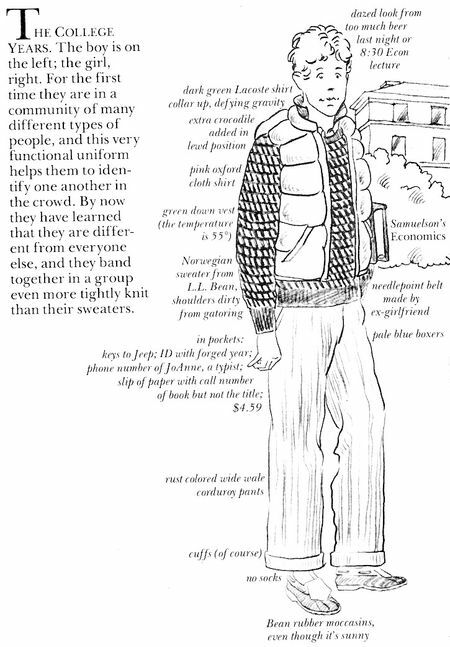 I have to wonder whether it might have inspired Lisa Birnbach’s more in-depth anthropological treatment in The Official Preppy Handbook, which appeared one year later. 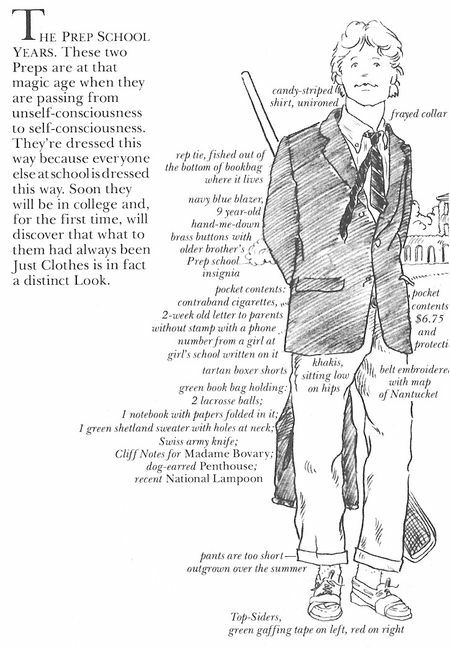 The layout of the Birnbach’s prep personae is very similar to Shadyac’s sartorial diagram. Birnbach also recognized The University of Virginia as one of the preppiest campuses in America. Elements of the preppy look never seem to change that much and have been appropriated by corporate culture as something of a uniform – khakis and button down shirts are now the norm instead of suits and ties. Nathaniel Elliot Worthington’s “flood level pants” have been a hot trend in men’s fashion for the last few years. The look was generated by prep school students who outgrew their khakis, but continued to wear them anyway. 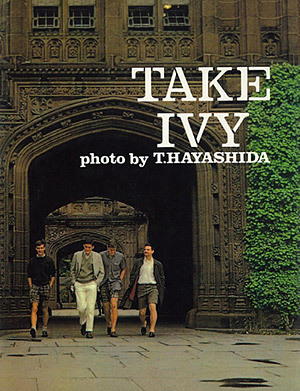 By the time those students arrived at colleges, floods had become a form of preppy rebellion and can be seen all over the pages of T. Hayashida’s 1965 book Take Ivy, a cult classic for devotees of men’s fashion, including Ralph Lauren. It was recently republished by powerHouse Books in Brooklyn, causing a hipster run on thrift stores in search of preppy items to wear around Williamsburg. Hipsters love irony; and what could be more ironic than a hipster wearing a Brooks Brothers button down while spray painting “Yuppie Go Home” on a luxury loft building wall? 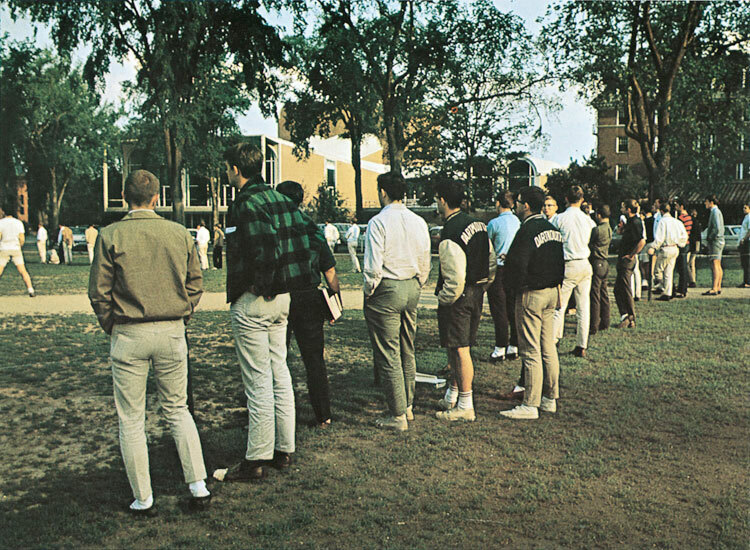 In the shot below, Hayashida has captured a group of Dartmouth College students, who have stopped to watch an intramural softball game. Everyone is wearing floods, and the student second from left has gaffing tape on one of his penny loafers. Yes, preppies actually do this! I taped one of my loafers the same way when I was in college because I didn’t want to pay for repairs once a sole had detached from the leather upper. It was a way of being frugal and playful at the same time. Not long ago, I saw a new pair of very expensive Tommy Hilfiger loafers – one of which had a grosgrain band stiched across the top as a reference to the practice of taping. Amazing!